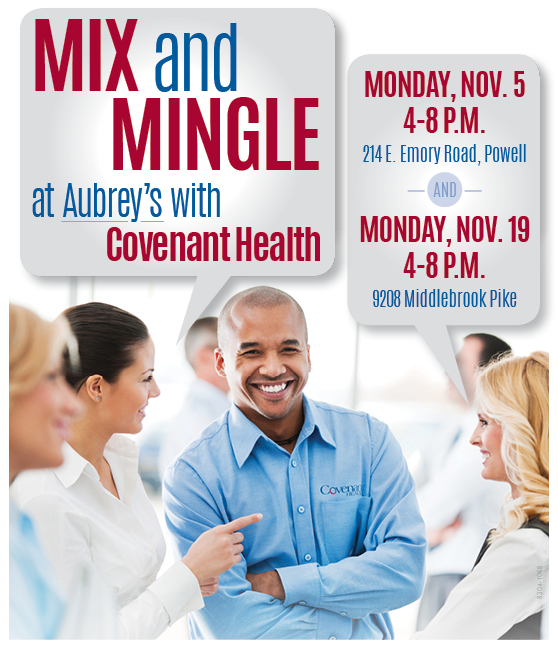 Come join us at Aubrey’s on Monday, November 19 (9208 Middlebrook Pike) from 4-8 pm for free refreshments and appetizers, and mingle with Covenant Health leaders and recruiters about open opportunities. Please bring your current work badge and resume for entry into a drawing for dinner for two at Aubrey’s! Please RSVP by filling out the form on this page. To be eligible for the door prize, you must currently work for a non-Covenant Health entity.